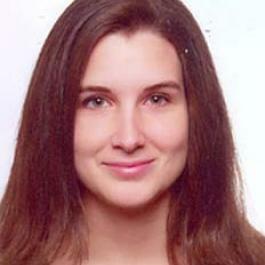 Gabriela de Tord became predoctoral researcher in the University of Zaragoza in 2014. She is graduated in History by this University and has a masterʼs degree in Sciences of Antiquity. Her research interests are focused in the religious epigraphy across the Western Mediterraneo and the indigenous languages and writings in this area, specially in the Iberian Peninsula. She is member of the research project "El nacimiento de las culturas epigrágicas en el Occidente Mediterráneo (s. II-I a.E.)" and of the research group "Hiberus" of the University of Zaragoza.